Havana has been on my travel bucket list for a while now but everywhere in the world is on my bucket list so this statement isn't too strong to begin with! To be honest, I only knew of Havana as a city trapped in time with vintage cars, rum and cigars, and with men dressed like Tony Montana in Scarface. Pardon me if this level of ignorance is offensive. Up until my Cuban vacation, I've had extremely limited knowledge of the country's rich architectural and literary history that expands beyond its renowned cigar and rum exports. 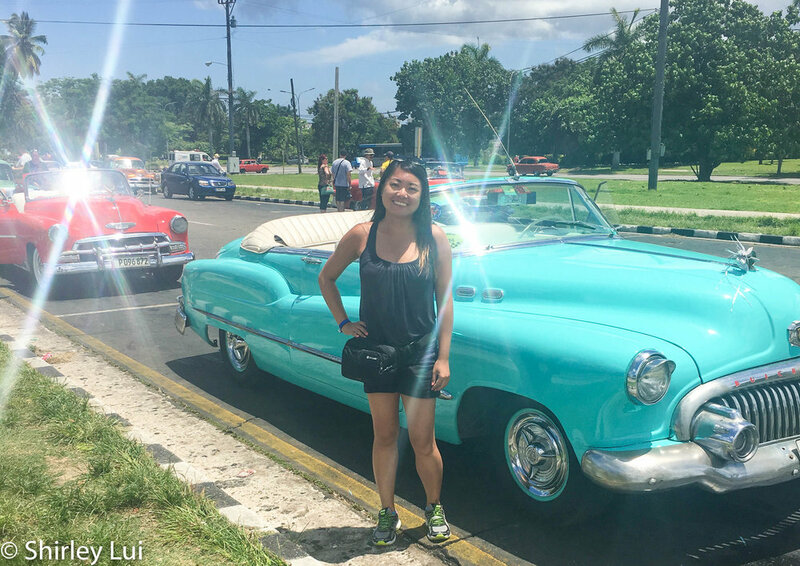 So, when I saw a travel deal come up for a week-long resort trip in Varadero, I knew I had to set aside some time to venture out into Cuba's capital. 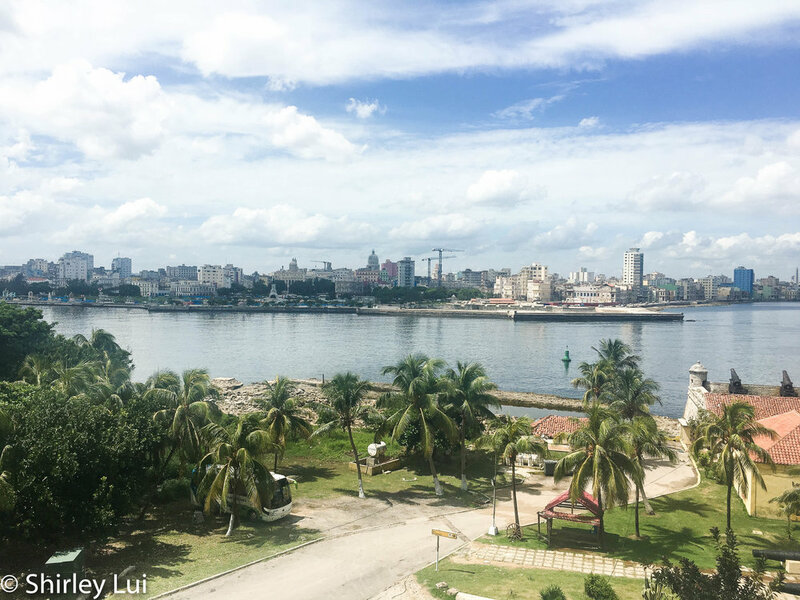 I only spent one day in Havana, which really didn't do it justice. So if you are able to book more time to explore, please do! 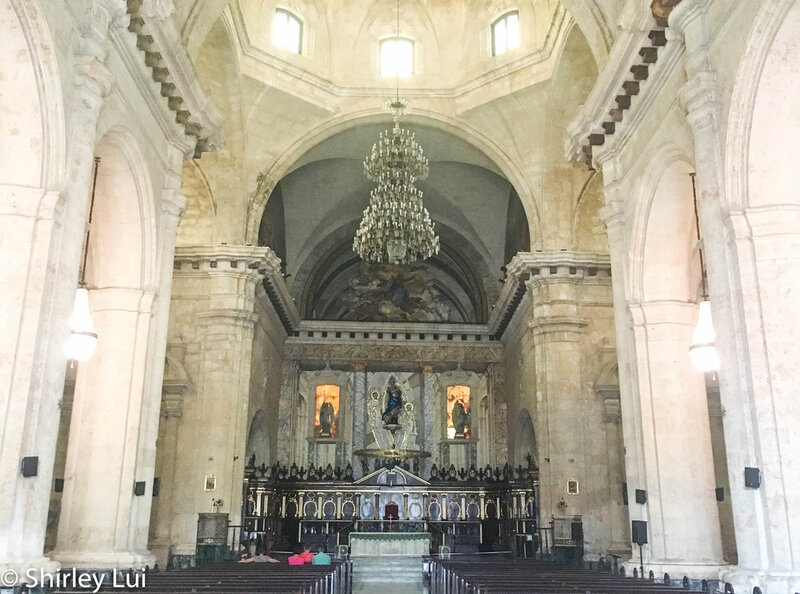 And if you only have a day scheduled for Havana, here are some of my must-see sites and stops below. Keep reading to the end where I'll also list out some useful tips for travel safety (especially if you are travelling solo) and for first-time visitors! 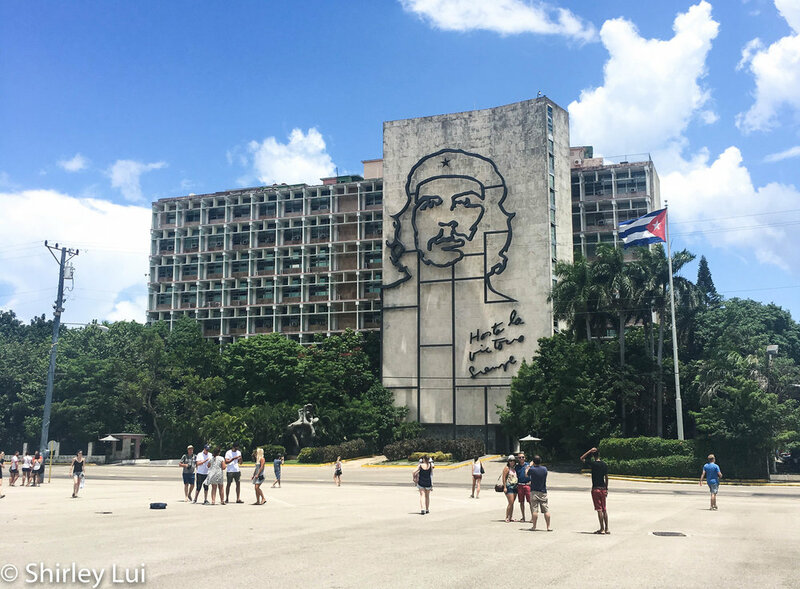 Stop for the pictures of the row of flashy, vintage cars parked along the curb and of the massive steel memorial of revolutionists, like Che Guevara. But definitely stop and immerse yourself onto the massive square where major political rallies and addresses, as well as papal masses, have taken place throughout history. Stand on the concrete for a while and breathe it all in. Another photo op, the Old Square is an open area of four facades with old and renovated buildings that makes up the square. Enjoy the colourful architecture or pop in to a local cafe for a cup of Cuban coffee. For an actual sit-in recommendation, check out Cafe Bohemia for a quick lunch before continuing your way around the city. Sit on the patio by the side of Old Square if you are into people-watching and soaking into the bustling atmosphere. For some peace and quiet, request a table indoors or in their secret inner courtyard. Useful Tip #1: Go later in the afternoon to avoid the crowd. Useful Tip #2: Try the lemonade frappe, a non-alcoholic and non-caffeine alternative if you want to change it up! 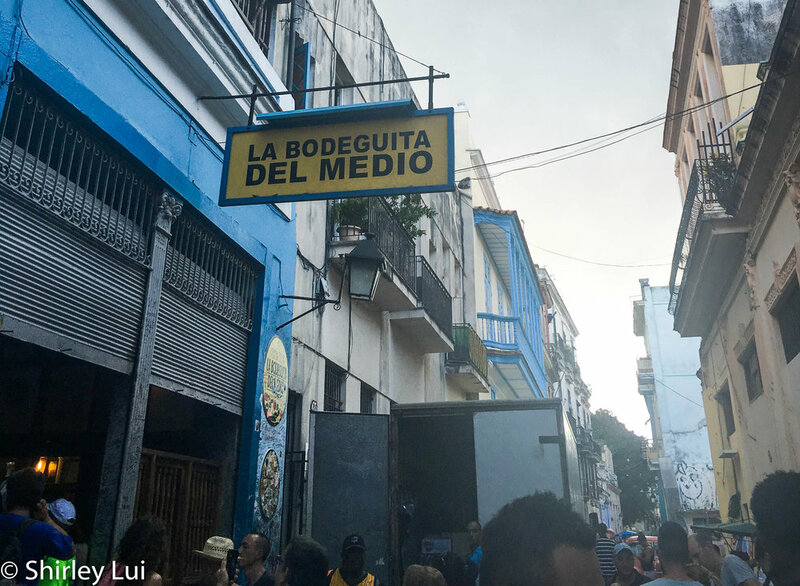 If you're feeling for something stronger, in the alcoholic persuasion, stop by La Bodeguita del medio for a mojito made famous by literary genius Ernest Hemingway. The traditional bar/restaurant has been dubbed a top tourist hot spot over the years after having been infamously name-dropped by Mr. Hemingway himself. It has also been rumoured to be the birthplace of the mojito drink. Make sure you allot plenty of time at this stop because it is usually very packed and the space is extremely narrow. You may need to fight your way through the crowd and be extra firm than usual to getting the bartender's attention. If you're in a rush, take some pictures and continue on your merry way. Address: 156 Empedrado, La Habana, Cuba (Google Map); Telephone: +53 7 8617771. Escape from the heat inside a beautifully, curated Museum that currently houses some insightful Cuban modern and socialist-inspired art. If you are pressed for time, make sure to do some research of the exhibits and floor plans ahead of time so you can prioritize your viewings. 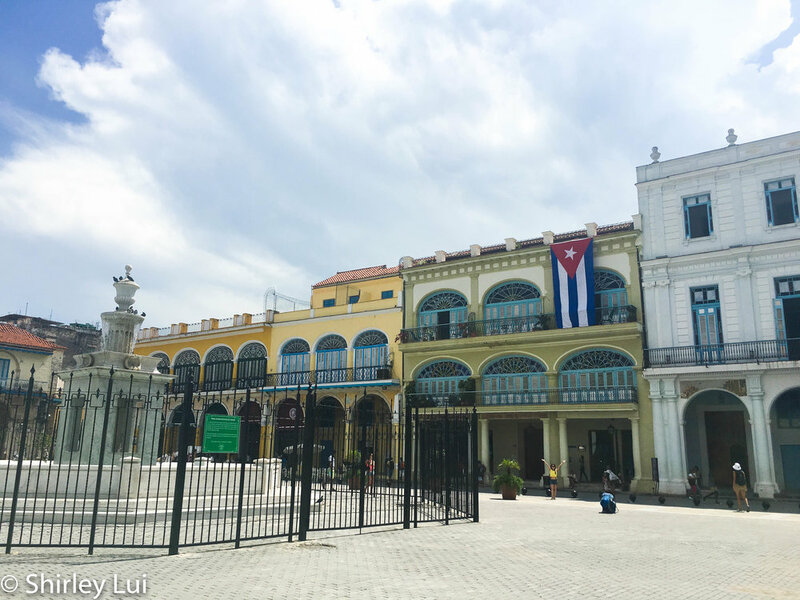 Take note that the exhibits are set up in historical order so if you can afford to take your time inside the museum, you can browse through Cuban art and feel how changes in the political landscape have been inspired through their art. Useful Tip #1: The museum is closed on Mondays. Useful Tip #2: Seriously plan your time around this; the museum is much larger inside than it looks outside. Useful Tip #3: Get an English-speaking, personal guide to help explain the meaning behind the art. Address: Calle Trocadero e/ Zulueta y Monserrate, Havana, Cuba (Google Map); Telephone: +53 7 8621643. I'm sure that there are many post offices scattered around Havana but this is the one that I stumbled into during my day out wandering. Inside this particular shop are many tour guidebooks, coffee table books about Cuba, and postcards that you can buy and mail on the spot. No matter how efficient technology is nowadays, I still enjoy the tradition of sending postcards to family and friends back home. There's just something so personable about snail mail! Just keep in mind that the postal service in Cuba is notoriously unreliable with some tourists reporting that they've never received their postcards in the mail (yes, I even send postcards to myself!). But, my postcard from Cuba did arrive six weeks after my trip, and all my friends and family members received theirs around the same time. U.S. President Barack Obama and legendary rock musician Mick Jagger have dined here. And that's just to name a few. This restaurant is one of the best foodie and cultural experiences for an authentic Cuban-Creole dinner, if you can get a table. Call ahead to make a reservation and expect for the room to be filled with many tourists but that's not to say that it is a "tourist trap". The food is amazing, the wall decor is beautiful and inspiring and the wine list is extensive. Be sure to call a cab when you leave as the street lights are sparse. 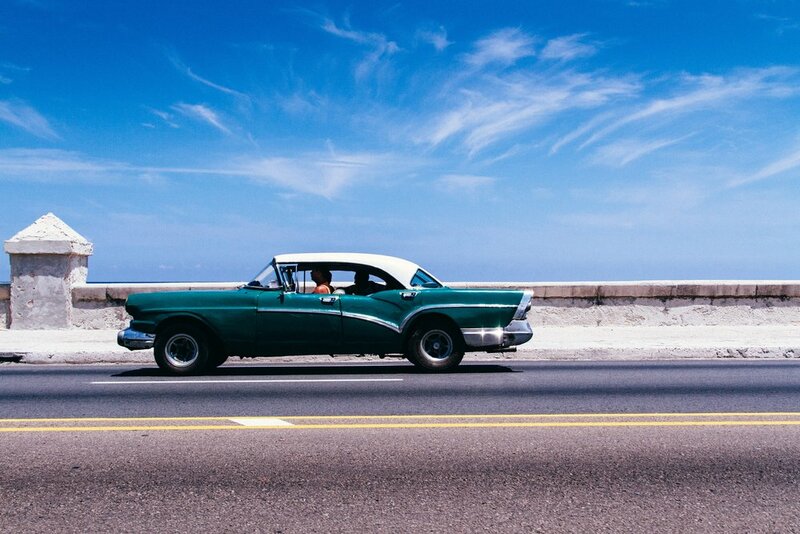 A trip to Cuba won't be without a night of passionate dancing and music! Take in a performance or two at the Tropicana for lively dancing and mingling with the locals. There are usually two shows at night so make sure you go to the earlier one because you can stay for the second performance for free! Useful Tip #1: Tickets need to be purchased in advance. Useful Tip #3: Buy the ticket that permits you to take pictures and videos. It's worth it! Useful Tip #4: Pay extra for the better seats. Useful Tip #5: Arrange for a taxi to pick you up as the streets have limited lighting at night. Address: 72 A, La Habana, Cuba (Google Map); Telephone: +53 7 2671717; Website: www.cabaret-tropicana.com; Price Range: $$$.